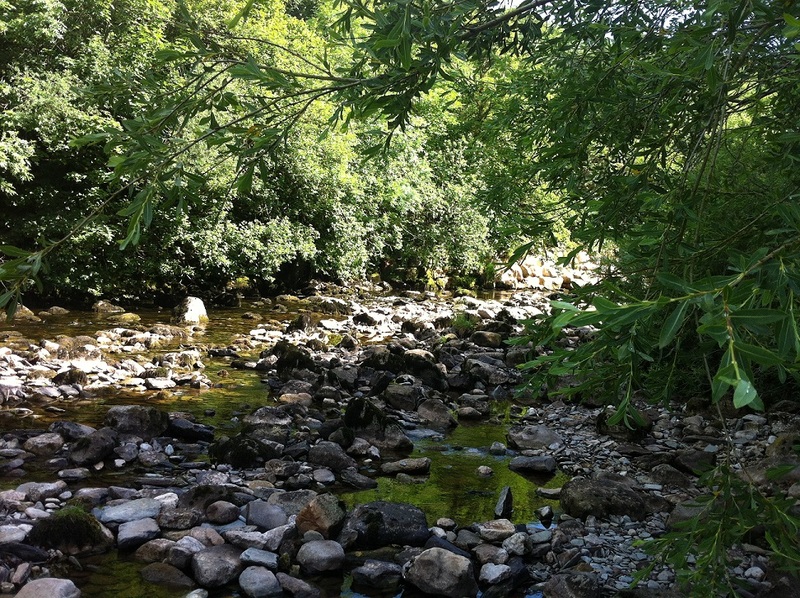 Ingleton is the perfect place to bring children for an easy, stress-free, holiday. There’s lots for them and you to enjoy both within walking distance and a short drive away. We are also happy to offer a baby sitting service (for a small charge) should you wish to partake of an evening walk in peace or sample one of the local restaurants/pubs. Travel cot, high chair, pushchair, toddler bowls & cutlery, bouncy chair, bedguard, steriliser, toys, good range of books & DVDs. The back garden is enclosed, the front is a safe quiet safe cul-de-sac, and behind the house is the cricket pitch/playing field, a great place to let off steam! Waterfalls Walk, this has a small adventure playground attached to a lovely café that has good coffee. 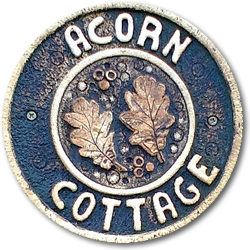 Clapham – delightful Dales village with a playground plus a buggy friendly woodland/lakeside trail that has lovely views leading up to Ingleborough Cave. Kirkby Lonsdale – take the bus to Kirkby Lonsdale, a picturesque local market town, where you can play in the river, walk along a safe off-road path to the town and have a bacon butty/ice-cream at the famous Devil’s Bridge picnic spot. The market town of Hawes makes a great day out. A good itineray is the Countryside Museum (the railway carriage section is very hands on and is ideal for children) which has a great playground across the road, followed by a walk through the beautiful cobbled streets to the Creamery which offers tours and generous tastings of its famous cheeses. The very reasonably priced visitor’s centre has been recently updated and is a good wet weather destination for youngters. Gisburn Forest is a lovely drive out with forest & resevoir walks. For younger children, there is a small adventure playground next to the café (not always open). The Sizergh Castle Wild Play Trail is great – go prepared for a bit of mud. Williamson Park, a 50 acre park in Lancaster, has a tropical butterfly house, other small animals, a fun playground & other bits to explore – handy place to visit when the weather is iffy as it has some sheltered parts. It also has lovely views over the North Sea and the Lake District. Grange/ Flookburgh – (just under an hour’s drive but worth it). Grange is a beautiful market town with a fantastic bakery/café called the Hazelmere, where you can buy a picnic & get free old bread & go to feed the large array of ducks on the ornamental lake. 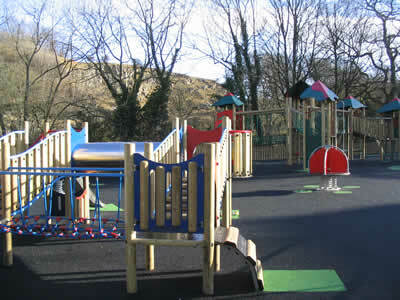 It also has a great playground, overlooking the picturesque bay. From there, it is a 2 mile drive to Ducky Park Farm at Flookburgh which is a children’s farm with indoor soft play area – good for wet days. From Grange, you can also take the short but stunning train ride to Arnside across the estuary. Skipton Castle – Over 900 years old, it is one of the most complete and best preserved medieval castles in England and is well worth a visit at any season of the year. The refectory in the church next door sells cheap, delicious lunches. 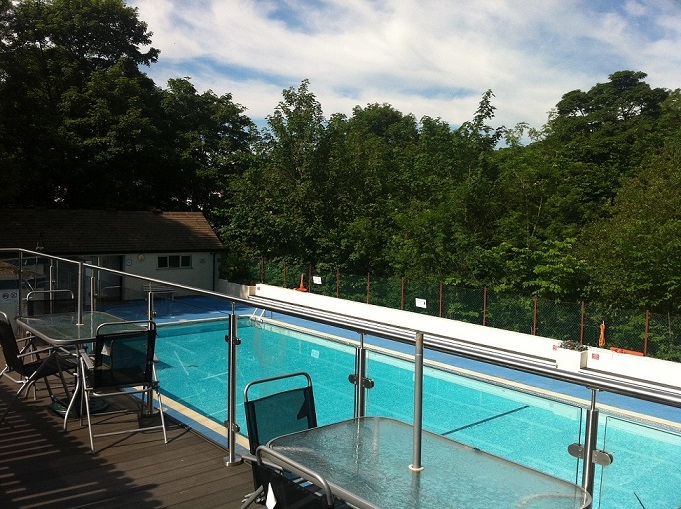 Skipton also has a good swimming pool and lovely walks along the canal. Close-by Skipton is Embsay Railway, from where you can take an old-fashioned small train ride to Bolton Abbey, a classic Yorkshire Dales day out, and enjoy the fun of Hesketh Park Farm. Over in the Lake District, about a 35 minute drive away is the Lakeland Maize Maze which is a great place to take children even on wet days as it has an indoor softplay area, climbing wall, tractors, go karts and sandpit as well as all the animals, interesting playground and mazes (including one for younger children) outside. Check for seasonal opening times. Close-by the Maize at Kendal, one of our favourite days out is a walk up from the river path to Kendal Castle with its stunning views over the Lake District followed by a snack (& heavenly ice-cream of course) at Natland Millbeck Ice-cream Parlour. There is also a great swimming pool a minute’s drive away from here which has a large toddler/baby pool. Also in the Lakes is Fell Foot Park, on the shores of Lake Windermere. This is a country park on the shores of Lake Windermere. It has lovely grounds to run around in, a great adventure playground, a cafe, rowing boats for hire and a cheap ferry which take you to the steam trains on the other bank of the Lake. Brockhole is another highly recommended Lake District Country Park. On the way home, a good stop off point is Low Sizergh Barn, which has a farm shop, trail & cafe where, if you are there at about 3:30pm, you can watch the cows being milked below. The Forbidden Corner at Leyburn was voted top children’s attraction in Yorkshire. The lovely historical town of Saltaire is made even more fun by arriving on train from Settle. A good rainy day trip is a visit to Bradford, with its ( a lot of more interesting than we expected) industrial museum and the always entertaining National Media Museum, finished off of course by a curry.